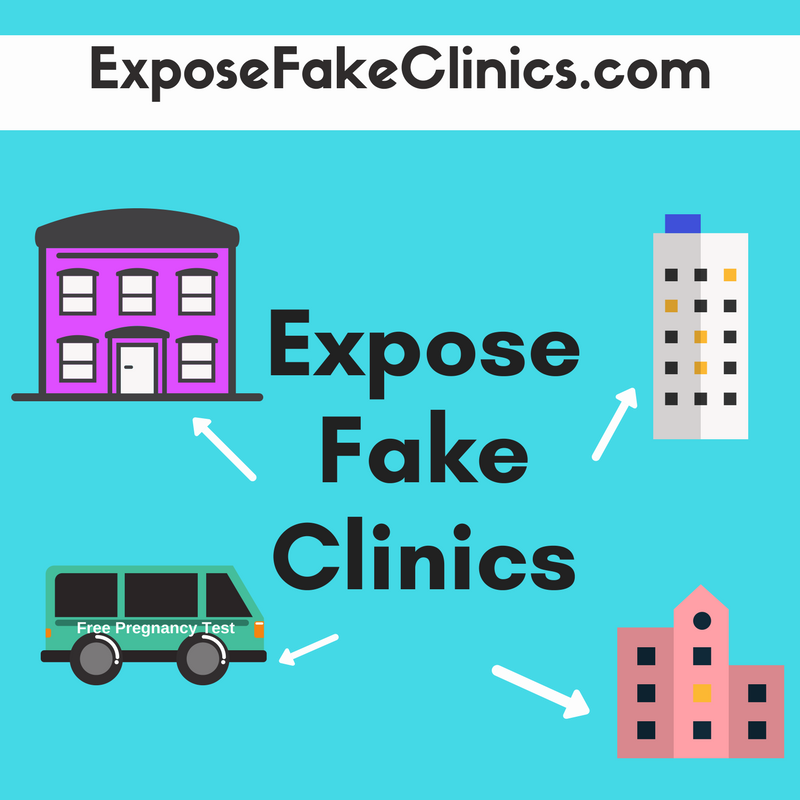 At a time when women need access to as much evidence-based, medically accurate information about their reproductive health as possible, there is a wide-spread effort to mislead and lie to women through so-called "crisis pregnancy centers" or CPCs, fake health clinics run by anti-choice organizations. 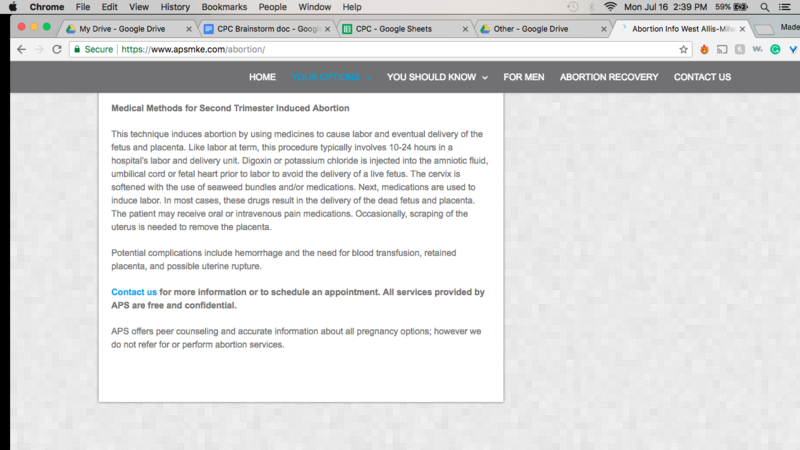 However, CPCs are not licensed medical facilities, and they neither provide nor refer patients for abortion care. Instead, they actively dissuade pregnant people from seeking and obtaining abortions by manipulating and shaming pregnant people, and by spreading falsehoods regarding the safety and outcomes of the safe and legal medical procedure. 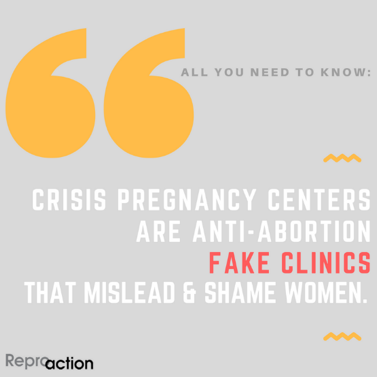 Much of this misinformation is fabricated based loosely on flawed, biased, or outdated studies, and does not in any way reflect the current scientific and medical evidence regarding abortion care. The following outlines actual examples of misinformation published on CPC websites in Wisconsin in comparison with the truth behind their false claims. ​60% of CPC's in Wisconsin have misleading information regarding available services on their websites. 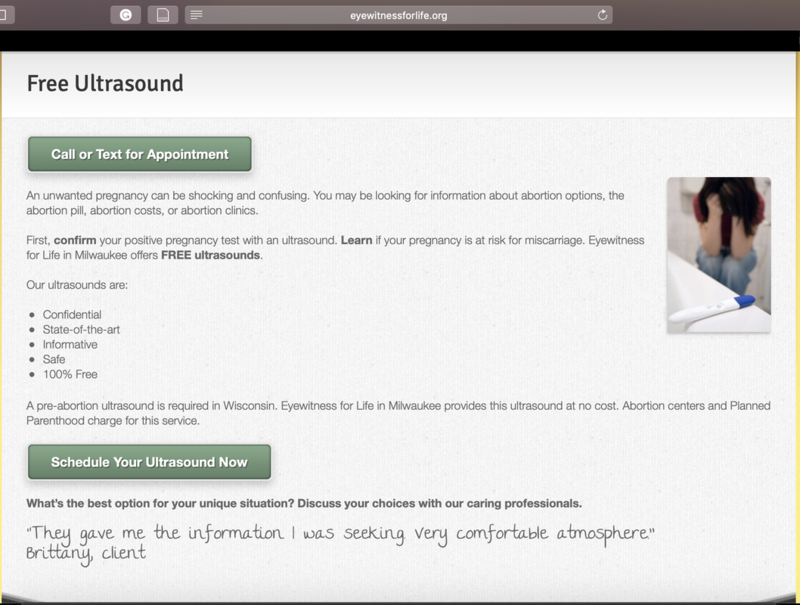 100% of Wisconsin-based CPC’s advertise “options counseling” on their websites yet they refuse to offer information on the full range of options available to pregnant people, and actively counsel against abortion. 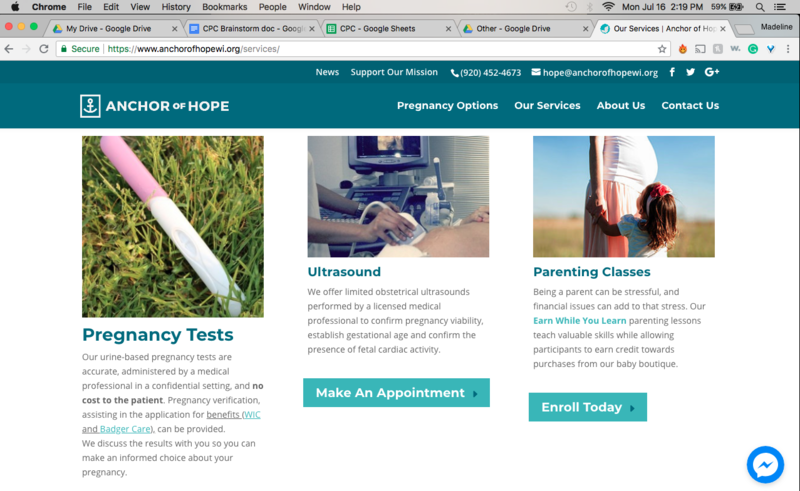 ​Despite advertising comprehensive and unbiased options counseling through email, hotlines, and by appointment, only 40% of sites explicitly state that they do not offer or refer for abortions. 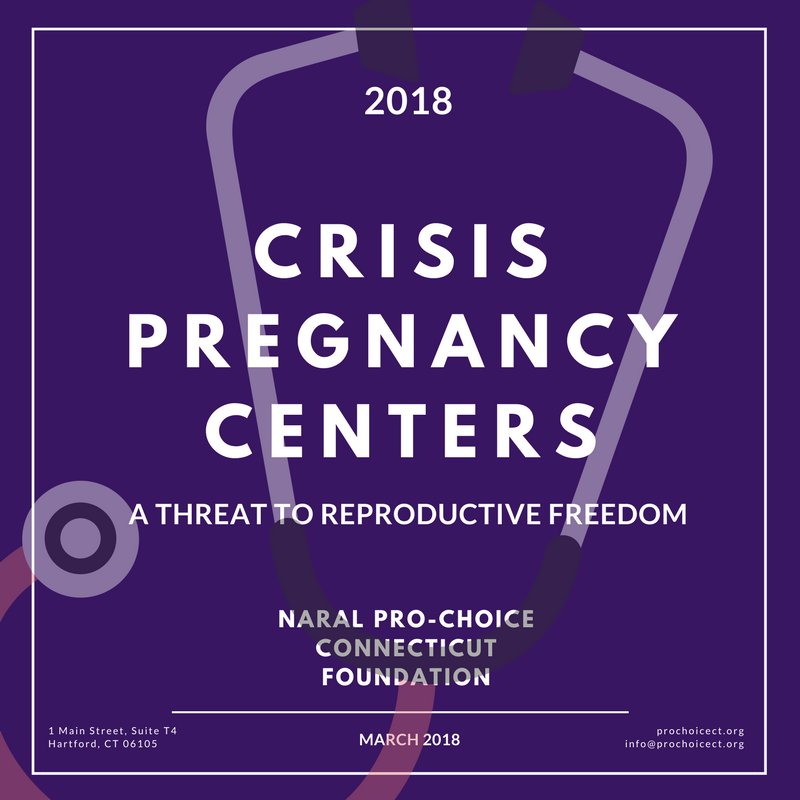 This means that women who are seeking to understand all of the options available to them are being tricked into visiting these CPCs only to be coerced into a limited number of choices that do not include abortion. 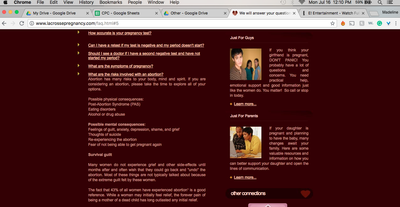 CPCs are notorious for shaming women into making certain decisions related to their pregnancy. They often guilt women into continuing an unintended pregnancy by telling her she's "guaranteed" to experience mental health challenges and will inevitably regret having an abortion. 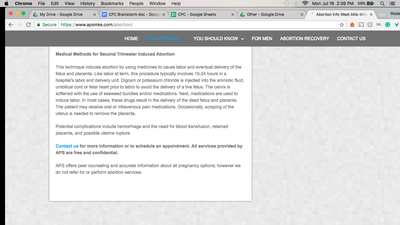 According to Guttmacher Institute, “evidence shows that the stigma that a woman may feel because she believes that her partner, family, or community will ostracize her for having an abortion-the stigma that antiabortion activists have worked for decades to promote-is itself a key driver of negative mental health outcomes,” not the abortion itself. Read more about the real science here. CPCs, which are not licensed medically facilities, often scare women into thinking that if they have an abortion that their future fertility will be compromised. 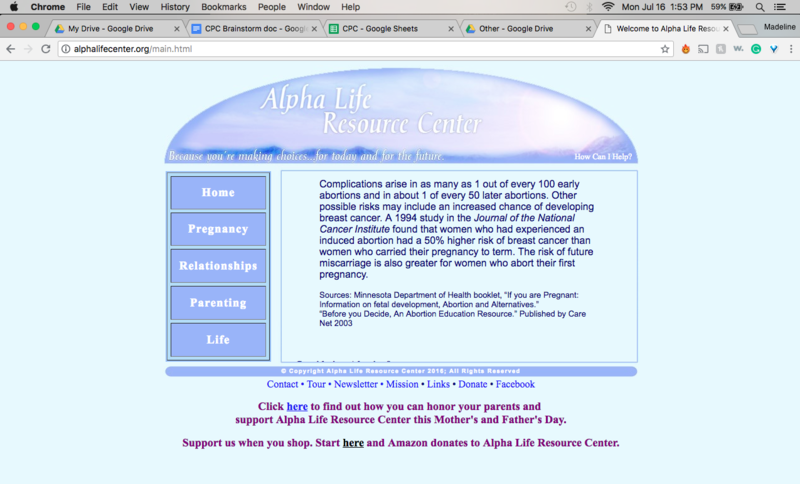 10% of the CPC websites made inaccurate or misleading claims about a link between abortion and breast cancer. 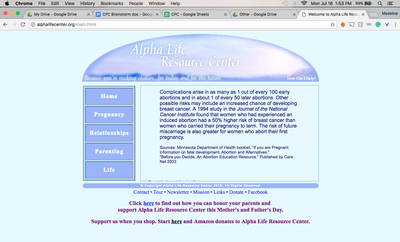 Another lie that CPCs love to use links breast cancer to abortion. It's just another tactic that CPCs use to scare women away from choosing to have an abortion in fear that the procedure could cause them to develop breast cancer. 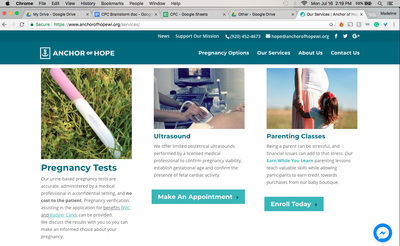 Be smart when searching for pregnancy information online: many CPCs have manipulated their websites so that when people search for “abortion” or “pregnancy help” their pages will appear first in the search results. Spread awareness among your friends, family, and colleagues! 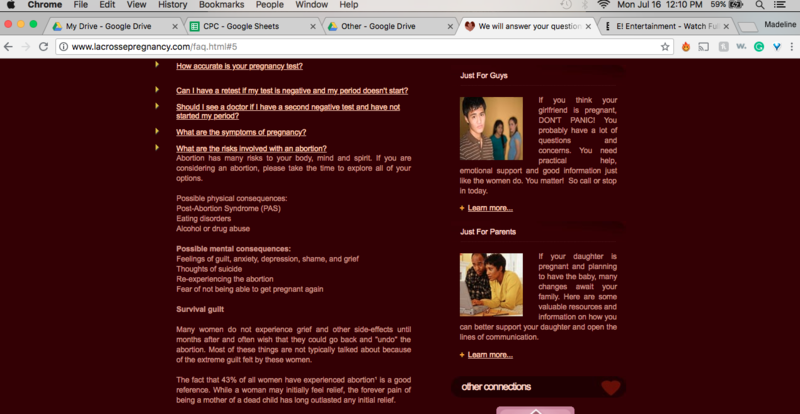 CPCs thrive when pregnant people do not know where else to find information regarding their options. Support diaper drives and fundraisers for legitimate family planning clinics and food pantries, rather than those organized by CPCs. Delaying a woman's decision by providing misleading or inaccurate information results in more complicated and more expensive care, reducing her access to safe and legal abortion procedures. CPCs in 14 states, including Wisconsin, received $40.5 million in taxpayer funds in 2018, at the expense of legitimate public health and public assistance programs. Wisconsin funds CPCs directly through taxpayer funds. The funding stream is established through a “pregnancy counseling” program administered by the Department of Health Services. Any organization that performs abortions or refers patients to abortion clinics is legally unable to qualify for these funds. Where are CPCs in Wisconsin? Red pins (84) represent crisis pregnancy centers, green pins (71) represent legitimate family planning clinics, and purple pins (4) represent abortion providers. 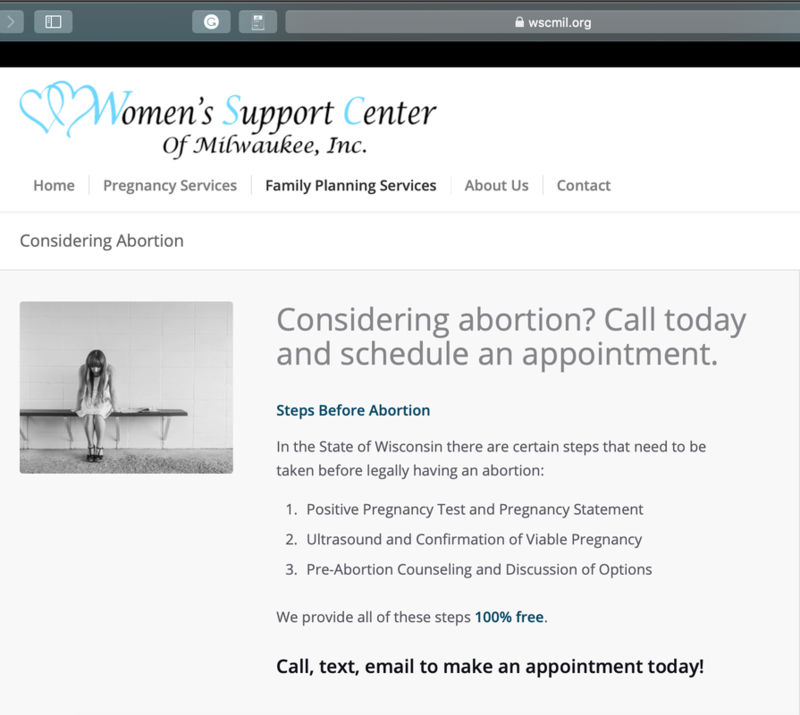 While only 4 abortion clinics remain in Wisconsin, there are over 80 crisis pregnancy centers in the state​. CPCs are often “strategically” located within ½ mile of hospitals and family planning clinics, sometimes right across the street, resulting in confusion for patients seeking legitimate family planning services. CPCs are also disproportionately located in neighborhoods with higher concentrations of low-income women and women of color.